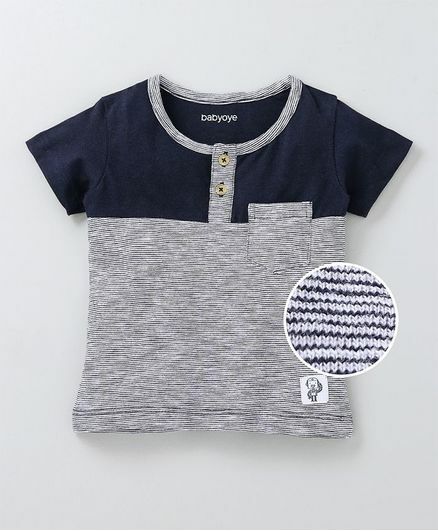 Babyoye presents this soft and comfortable half sleeves Tee for your little one. Trendy stripe pattern makes it look stylish. Pocket adds elegance of style to it. The soft fabric of the top will keep your child comfortable all day long. Styling Tip: Pair it up with shorts, sandals and cap for a casual look. Must buy love the fabric ? ?